You can also download this album right here, right now, by clicking here. A raw glimps of the nascent stages of America’s #1 hot jazz & Western swing trio. Don’t miss this prequel to the band’s 20-year career (so far) and ten studio albums and counting”that followed. 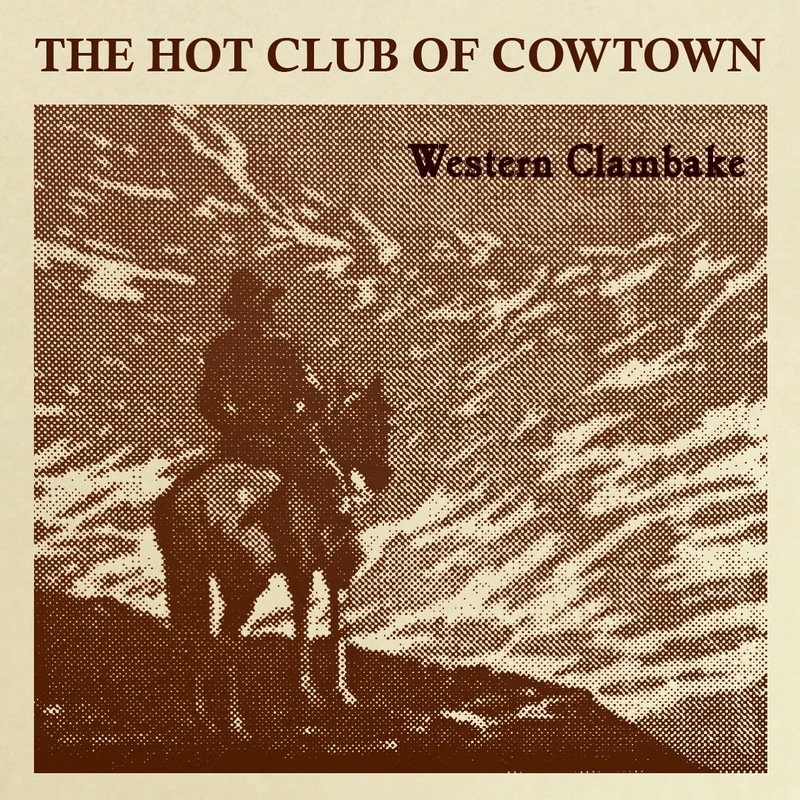 Marking our 20th anniversary, we are excited to make available the first-ever release in CD format of our very first recording, Western Clambake, which had previously been available only on cassette tape, first recorded in August, 1997 in San Diego, CA. The original lineup of the band, documented in this collection, was Hot Club of Cowtown founders Whit Smith on guitar and Elana James on fiddle, with bassist T.C. Cyran. This collection of songs, 38 minutes of total playing time, covers all 14 tracks is a raw, almost primitive collection, a tide of pure energy and relentless enthusiasm. Whit Smith is the only vocalist, but background shouts and trills lend dimension, as does the electrifying thrill of James’s fiddle, Smith’s primal guitar tone, and the acoustic slap and thump of Cyran’s bass. The overall effect is of a metal cylinder field recording c. 1937 with Alan Lomax’s slight distortion from the original cassette after 20 years lends this collection the grit and heart of another era.